We (PVM) ported our Tandy 64 intro (originally designed for the Tandy 1000HX) to the IBM PCjr. I did a quick’n’dirty intro for the C64 to promote SDKBOX at Casual Connect 2015 SF. I took the scroller+rasterbar effects from the game that I’m doing, I took the music from somewhere, the fonts from somewhere, I added some simple moving bars at the top… and done. I only had one day to do it, and I was very happy with the result. 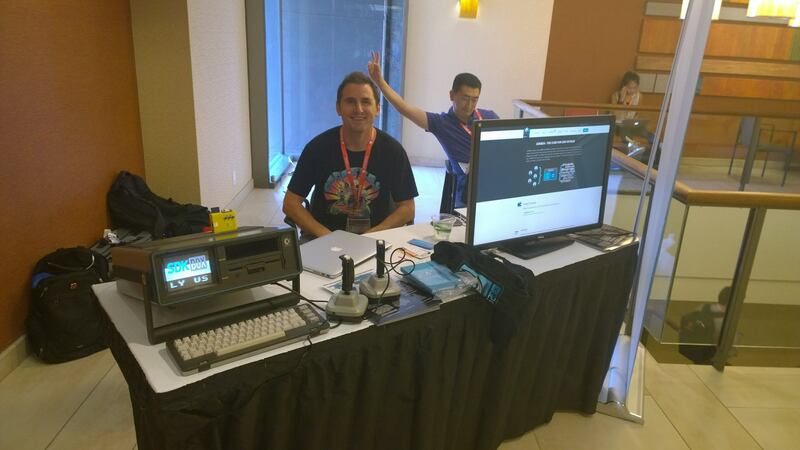 The demo ran during the 1st day of the conference on a NTSC C64-SX. Download the source code from here. Download the binary from here.